If there is one thing we have all learned from American Idol, it's that the idea that you can be anything you want to be is patently untrue. Some people got it and some people don't. Some people learn that ugly truth, early and hard, like those obscenity-spewing teenagers who have just been told that not only will they never be the next American Idol, they should give up singing all together. Other people learn it much later after they have spent year after futile year pursuing a dream that never comes true. And then there are the others. Those who find their talent early and end up in the company of just the right people who can help them capitalize on it. What if you are one? What if you are the other? What if you are one and your best friend is the other? 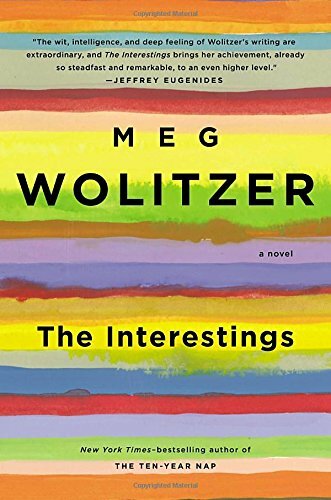 That's the premise of The Interestings, by Meg Wolitzer. Six teenagers meet at a summer camp for the arts, each with dreams of pursuing an artistic life. They call themselves the Interestings and form a fast friendship. Out of this magical time, however, some become outlandishly successful while others live regular lives and still others become life long enemies. Being of a certain age, I enjoyed this book and its exploration of how life can seem "fairer" to some people than others and how some people with talent waste it. Wolitzer's characters are fully drawn and engaging and the situations they find themselves in seemed authentic. At some points Wolitzer's tendency to time jump several times within one chapter was disconcerting, so I took one star off for that, but all in all I would recommend this book to others. Good stuff! Who is Stealing the RDCBs of Houston? Hollow, My Baby! Hollow, My Honey!